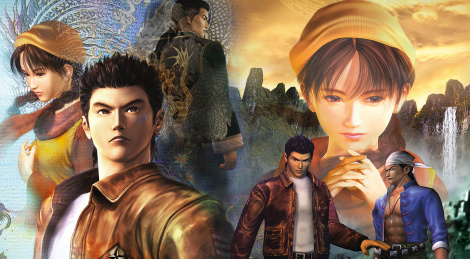 Revealed this weekend at Sega Fest in Japan, Shenmue I & II is coming this year for PS4, Xbox One and PC (Steam). This re-release will feature scalable screen resolution, modern or classic control schemes, PC graphics options, updated UI and choice between original Japanese or English voiceovers. Jump inside for the trailer and screens. 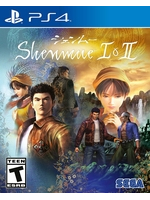 While this simple remaster is better than nothing, I was hoping Sega would remake these games using the Yakuza engine, like Yakuza Kiwami 1 and 2. I understand that it's probably much easier to work on those games since the assets, levels, textures, etc. are already done in high quality, which is basically reusing them for low development costs. I understand that it would still cost more, since most things would need to be redone from scratch, like the levels, character models, textures, probably re-do voice-overs, etc. I believe it wouldn't be that much more work since the Shenmue games are considerably smaller when compared to the Yakuza games, but I might be very off on this. Though they wouldn't need to do something as crazily detailed as what Bluepoint Games did with Shadow of the Colossus, and more like what Bluepoint Games did with the Metal Gear Solid HD Collection. Still, I'm very excited for this remaster. For myself, Blim, Easy Allies' Michael Huber, all the fans and first-timers that will get to replay or experience these games for the first time. Plus the modern controls and choice of both English and Japanese voices are very great additions. "They're - Shenmue 1 & 2 and Skies of Arcadia - a couple of our most requested games. I can't say 'yes' or 'no', but we may be working on them." Sega has asked fans, done polls, and hinted many times since then. After Shenmue, Skies of Arcadia is the most requested title for a HD remaster. Can't wait to drive that fork truck again!!! Let's hope they at least put some decent antialiasing before release caus for now that's a bit raw. I’m excited to play these again. I’m kinda hoping shenmue 3 retains a lot of the dated jank associated with the series too tbh. It’s part of it’s charm. needs Moding. an HD texture pack overhaul. also can use some ambient occlusion. Good news. However, they should put a bit more effort into the port. The game was a visual masterpiece when it was originally released...from the footage, it looks like they are putting no effort into revamping it at all. Unless, that is pre-HD upgrade. I have never played so I am happy about this. Probably it will be priced at 20$ but hopefully they can improve the gfx and charge more. Lol love your Huber mention there. If this game was made ONLY for Michael Huber of Easy Allies, I could die happy. they did give it to a third party. D3T are porting it. Nice! Sold my original Shenmue I and II about over year ago, so it's good to have them back not that I missed them too much.